Been out of the water for a while**? Can’t remember how to setup the equipment? Having trouble remembering underwater communication? Feeling a bit rusty? The scuba refresher is designed to re-engage divers with the underwater world. Please note, it is NOT a re-evaluation. Your dive certification is for life and you have already passed all criteria in which to scuba dive. All we want to do is help you get back into the water and swimming around confidently in a controlled, safe and easy environment under the close watch of one of our experienced dive professionals. During the scuba refresher, one of our dive professionals will meet you at the shop, speak with you informally about your previous dive experience and begin the process of easing you back into the water. We tailor the scuba review to your exact requirements, which can include an orientation to equipment sizing and selection, equipment set-up, underwater communication and a tune up of the fundamental skills learned during the open water dive course. Cost – 2400 THB, includes two dives and all required rental equipment. During the first dive, you’ll review your diving skills, then finish your tank with a dive. The second dive is strictly for fun, giving you time to put those skills to use exploring the underwater world. 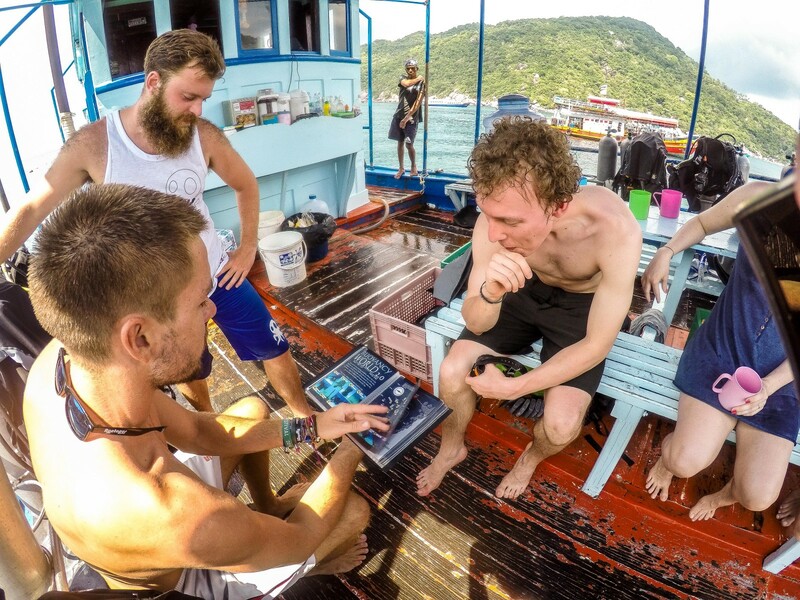 10.30am – Meet dive professional at the shop and begin the experience. 11.15am – Boat departs to dive sites. 12noon-4.00pm – Scuba Refresher and 2 fun dives including 1hr surface interval. 4.30pm – Back to the shop, log books, photos, end of the day. **This is required for any diver who has been out of the water for longer than a year, prior to taking another dive course or going out on fun dives. If it’s been less than a year since you’ve been diving but you’re lacking in confidence you are also welcome to join a Scuba Review to brush up on the essentials.